Simply put still too much attention to roads (although I see the Mill Road upgrade mentioned in the ATAP has been shunted all the way to 2025 under the RLTP which was NOT the idea…) and not enough into transit and active modes despite what feedback says and the rather empty constant rhetoric of the AT Chair. 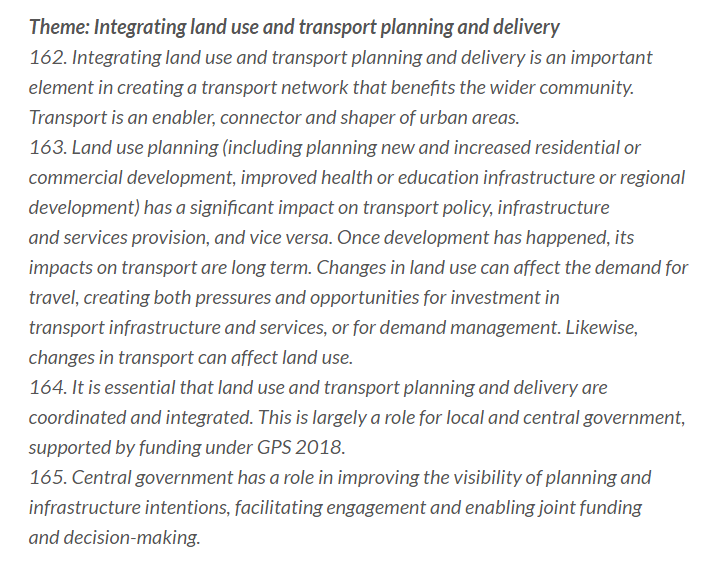 On Wednesday 20 June 2018, the Board of Auckland Transport will consider the Regional Land Transport Programme (RLTP). Some 18,000 groups and individuals submitted on the draft RLTP which is a requirement under legislation. The RLTP sets transport priorities and budgets for the next decade and beyond. AT chairman Dr Lester Levy says for the first time the draft RLTP outlines priorities where Auckland Council, the Government and Auckland Transport are fully aligned. It received strong support through a public consultation process, undertaken in May, and provides a pathway for transforming the region. 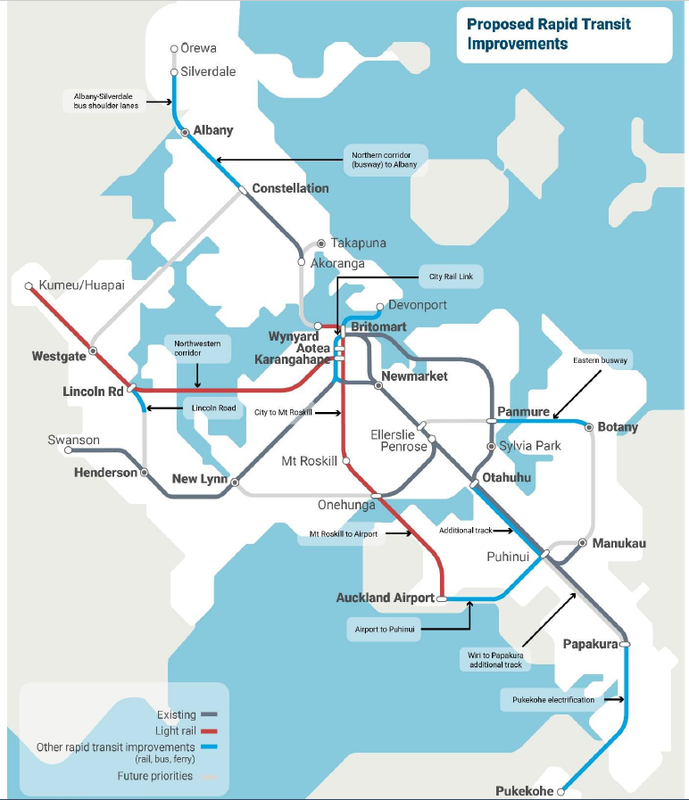 Do you think we have correctly identified the most important transport challenges facing Auckland? The draft RLTP consultation also sought feedback on the level of support for specific areas of work, to imform the prioritisation of funding. Overall, there was a high level of support (over 80%) for investment in the areas listed in the draft RLTP. The draft document to be considered by the Board also outlines the timing of capital work over the next 10 years. The capital programme has been planned to take account of projects which are already committed, such as City Rail Link, funding availability, and most importantly the consultation feedback. Dr Levy also acknowledges the positive engagement with Local Boards through development of the draft RLTP. Through the consultation process Local Boards emphasised the sheer scale and speed of population growth, and the need to think differently, because new challenges cannot be met by old thinking. “On that point we (Auckland Transport) couldn’t agree more,” Dr Levy says. Read the (draft) RLTP to be considered at a special Board meeting on Wednesday. *Note, the RLTP is still subject to funding confirmation through the Council’s Long Term Plan budget process and the finalisation of Regional Fuel Tax legislation. 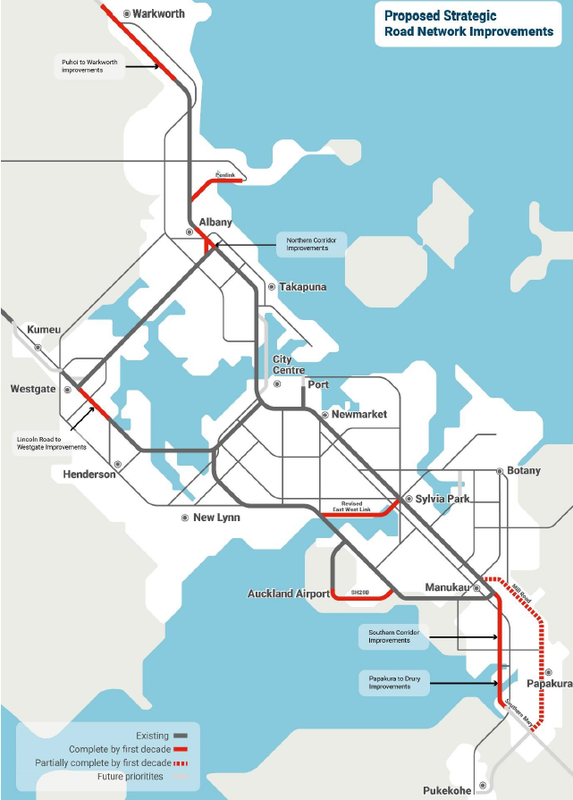 Given the text of the RLTP has not changed to reflect the Auckland Plan, Auckland Transport Alignment Project, Regional Fuel Tax priorities nor the Government Policy Statement it seems that despite high population growth Auckland Transport is still using not old thinking but very archaic silo’ed thinking.